1. In a large pot, sauté the mushrooms and garlic in the butter and oil. Season with salt and pepper, thyme and bay leaf. Cook until the liquid from the mushrooms is gone. 2. Add wine and reduce again for a few minutes. Then add the chicken stock and cook for about 5 to 10 mins more. 3. At this stage, puree some of the cooked mushrooms by removing about half of them and a little stock and pureeing in a blender, then add back to the pot. I left about half of the mushrooms un-pureed to create a nice contrast of textures. 4. Next, dissolve flour in a little water and add to soup, while stirring to thicken. 5. Add cream and milk and heat through, season with a dash of freshly ground nutmeg. I served the soup with some of the wine I used to make it, along with a baguette, some pate, and nice cheese. It was the best meal I’ve had in ages. 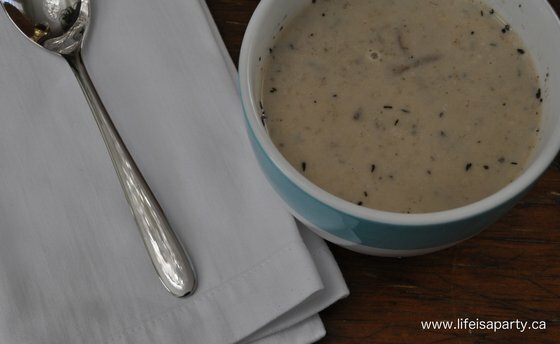 LOVED it, seriously, make this soup. 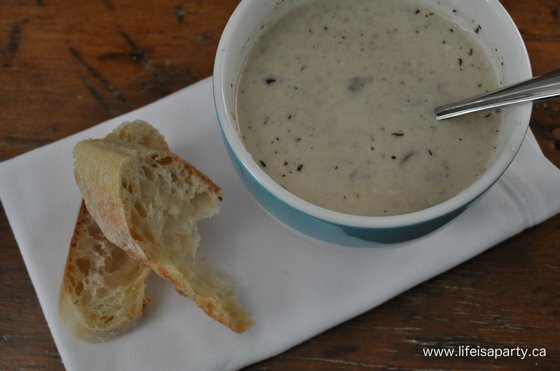 With homemade Cream of Mushroom Soup on a cool spring day, life really is a party! What is 1 tetra pack? 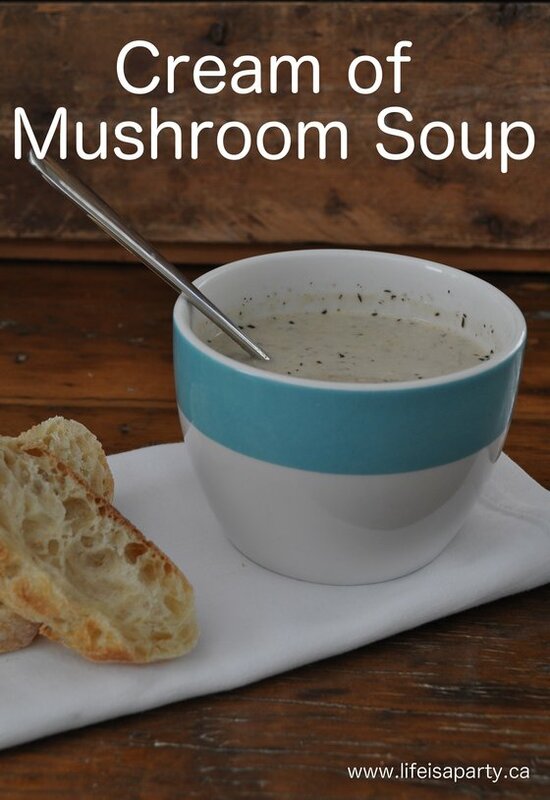 I would like to make the cream of mushroom soup it look delicious. A tetra pack is 900 – 950 mL of stock -about 4 cups. Hope this helps.